Poverty and the widening gap between the rich and poor are major issues in New Zealand. Child poverty levels are double what they were 30 years ago and income inequality has greatly increased. Poverty and high inequality hurts us all. There are huge social and economic costs as a result of poverty (around $8 billion per year). It is harder for people to get ahead in life when the rich poor divide is too great. It is important the our tax and welfare systems ensure that everyone has access to adequate income to keep people out of poverty and able to take part in everyday life in our society. 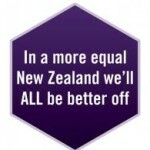 Over the past 30 years New Zealand has became a much more unequal society which has had huge impacts on us all. Find out more about this and what we can do about it. 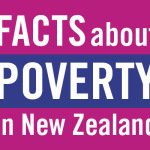 The facts and evidence about poverty in NZ are brought together in these fact sheets about poverty. 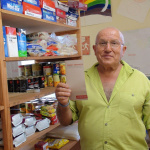 This was a project focused on foodbanks as one key indicator of poverty and hardship. In August 2008 we released a report that updated the previous Poverty Indicators Project (PIP) work analysing foodbank usage and the situation of people using foodbanks.